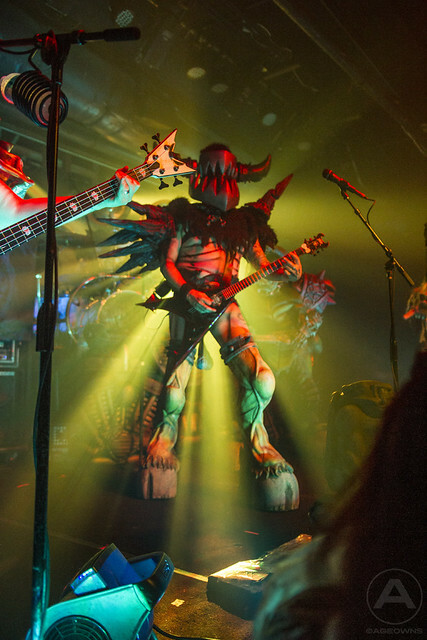 GWAR appeared in Baltimore this past weekend on their 2014 Eternal Tour. They addressed the absence of lead singer Oderus Urungus, and introduced Blothar and Vulvatron, each capable of spewing their own fluids all over the audience. I don’t think a first-timer would have a lesser experience with the new line-up. It was different, but it wasn’t for better or for worse. The crowd seemed to completely enjoy it, and it did sell out, so the fans are still there, and they’re still cracking their heads to rock out with the best scumdogs in the universe. Click below for my photos, which should at least induce internal bleeding.